The NCDMB AnnuaI National Undergraduate Oil & Gas Essay Competition sponsored by the Nigerian Content Development and Monitoring Board (NCDMB) is designed to promote the Nigerian Content (NC) initiative and create the awareness for Nigerians to build local capacity to participate effectively in Nigerian's Oil and Gas industry. 2 Entrants must submit either a letter of admission or a signed letter of attestation from his/her Head of Department (HOD). 3. All essays must be original works specifically written for the competition. 4. Co-authorship of essay is not permitted. 5. Entrants are to submit only one entry. 6. Completed manuscripts and accompanying documents must be submitted to ncdmbessa .com on or before 18th September, 2018. Late manuscripts will not be considered. Hardcopy submissions wiII n_ot be accepted. 7. Manuscripts must not exceed 1,500 words. 8. Current contact information of each entrant including phone number and email address must not accompany the manuscript. 9. Entrants’ names must not appear on the manuscript but on a separate title page to be removed when a number is assigned to the entry. 10. Shortlisted entrants will be contacted to appear before a panel for interactive assessment to defend their submitted essays. N500,000 for 1St place, N3S0,000 for 2nd place, N250,000 for 3rd 4"h and 5th places shall each receive N50,000. All top 5 winners shall receive laptops and other items. Essays will bejudged based on: Clarity of Expression, Spelling and Grammar, Orlglnallty of thought, Depth of Analysls, Relevance to Industry, and Conformity to Contest Rules. 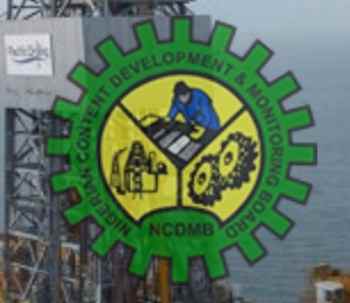 The winning essay will be published in the NCDMB's in-house magazine, Local Content Digest.